Me, me, me, me, me!!! 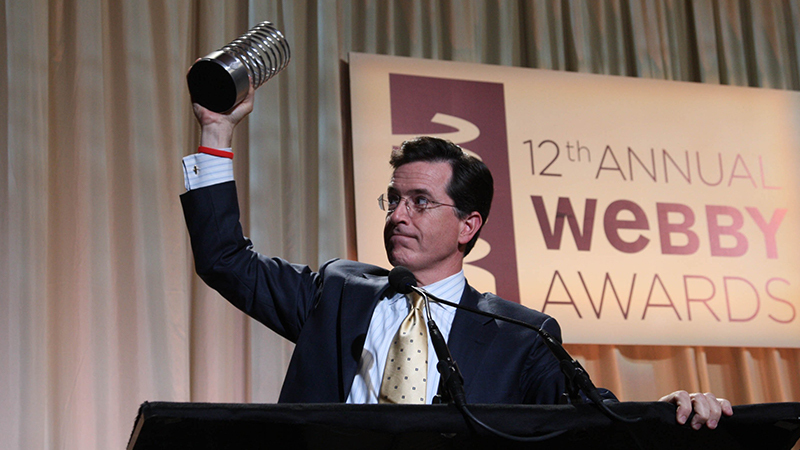 Stephen Colbert will be honored for the innovative way he has used the Internet to interact with fans of The Colbert Report – from Google bombing to make him the top search result for “greatest living American” to challenging the “truthiness” of Wikipedia. In his presidential campaign, the “One Million Strong for Stephen T. Colbert” Facebook group attracted more than 78 members per minute in its first week, while his supporters have raised more than $250,000 for the education charity DonorsChoose.org.